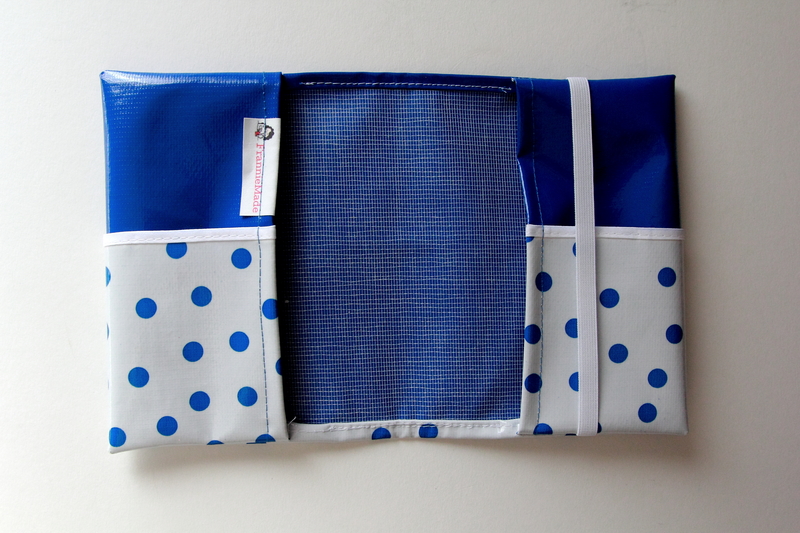 Adorable Royal Blue With Polka Dots Oilcloth Pocket Bible Cover For Revised NWT Bible. 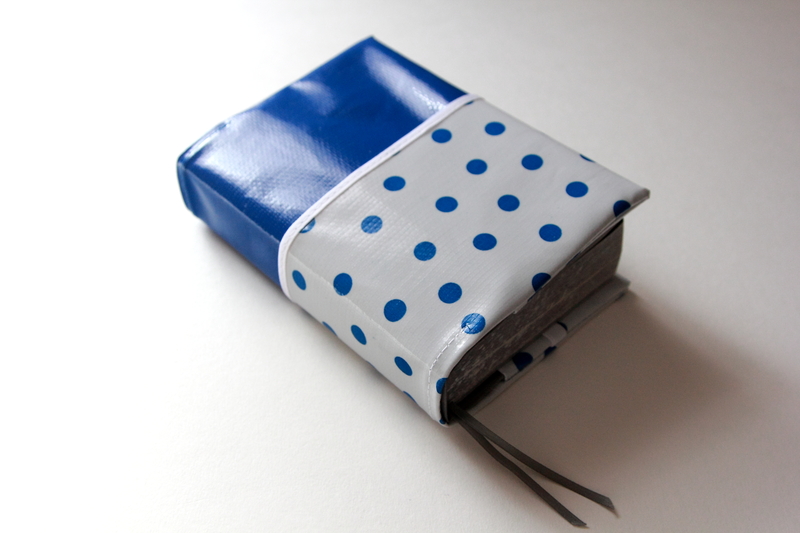 Attractive Royal Blue oilcloth Bible cover with white and blue polka dot pocket for regular size revised edition of the NWT. 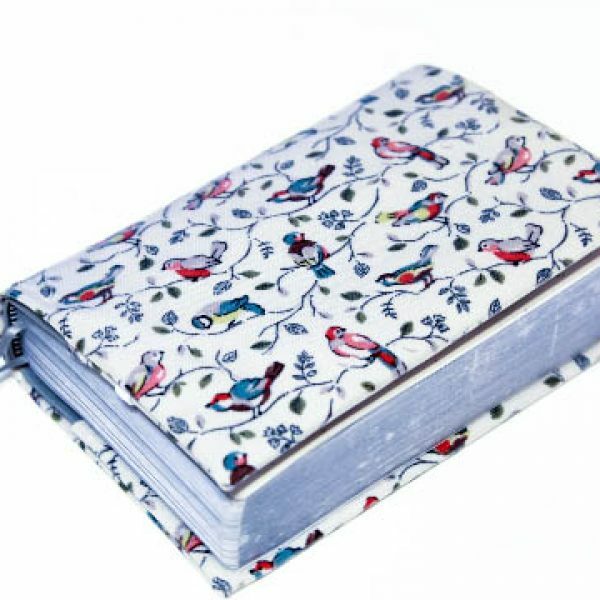 Great way to protect your Bible. 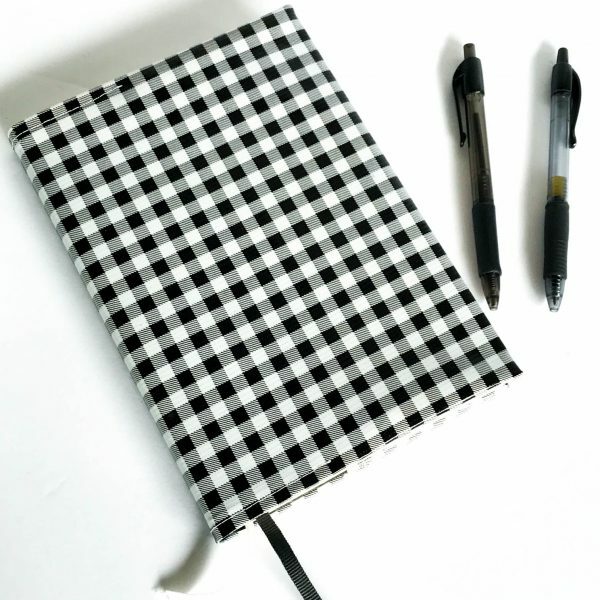 The pretty polka dot pocket is handy for paper, notes or a pen. 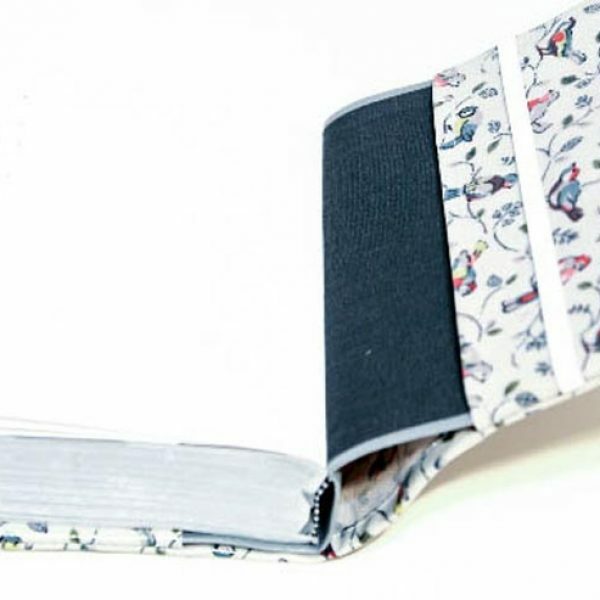 The addition of elastic is a great idea as it keeps your Bible closed nicely and pages neat when not in use. 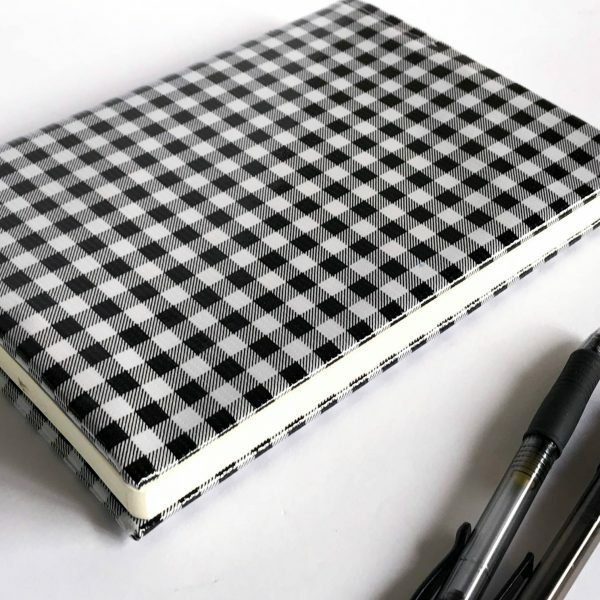 It can also be used to store notes on the back inside cover. There is an extra charge of $2 for the elastic to be added. 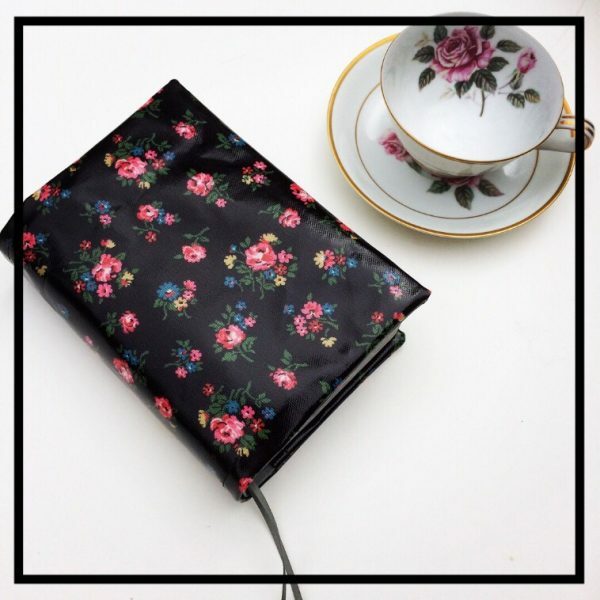 Oilcloth is great for Bible covers as it wipes clean with a damp cloth, protecting your precious Bible. 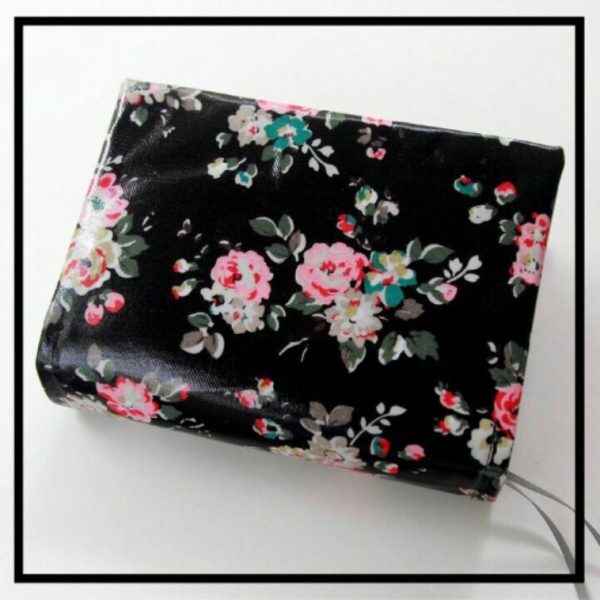 The finished regular size NWT Bible cover measures approximately 10 3/4″ x 7″. 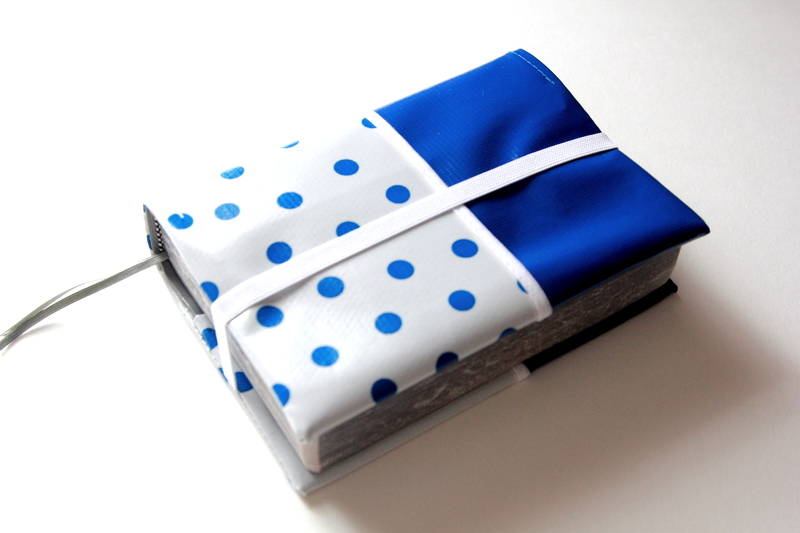 This is a custom Bible cover made to fit NWT Bibles but we also create these covers for other Bibles as well. Just message me for more information. 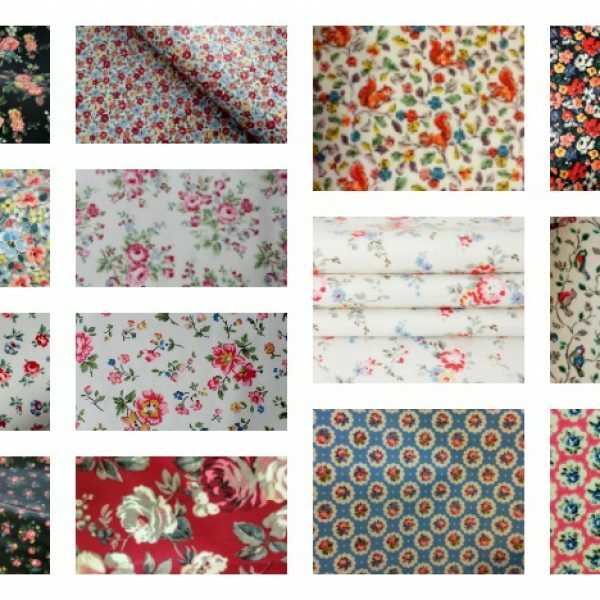 You can view the patterns available on my “About” page in my shop.